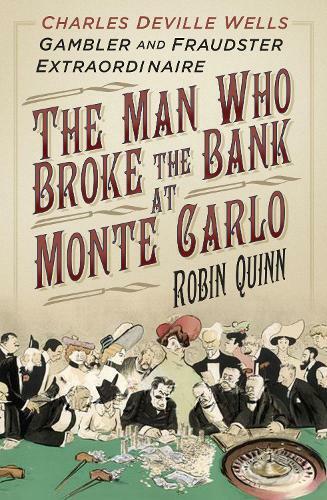 The Incredible true story of the man who broke the bank at Monte Carlo. Charles Deville Wells has two loves in his life: a beautiful French mistress named Jeannette and his sumptuous yacht, the Palais Royal. At the risk of losing them both, Wells stakes everything he owns at the roulette tables in Monte Carlo's world-famous casino - and in the space of a few days he breaks the bank, not once but ten times, winning the equivalent of millions in today's money. Is he phenomenally lucky? Has he really invented an `infallible' gambling system, as he claims? Or is he just an exceptionally clever fraudster? Based on painstaking research on both sides of the Channel and beyond, this biography reveals the incredible true story of the man who broke the bank at Monte Carlo - an individual who went on to become Europe's most wanted criminal, hunted by British and French police and known in the press as `Monte Carlo Wells the man with 36 aliases'.